This Association began in the minds of hundreds of veterans who, over countless years had yearned for news of their brothers. They relived myriad of exploits from their armchairs, while day-dreaming at work, puttering around the house and, yes, avoiding all those intrusive questions from family and friends about their service. Assimilation occurs in the mind; for many, reality exists now AND a lifetime ago. Dreams return and life goes on, for life is still vibrant and precious, it courses through our veins as the cascade of a waterfall. It is to be cherished. Sherman "Snore" Breeden established the first official Web site for former members of 15th Medical Battalion, First Calvary Division. Snore's Web site had "Bad Moon Rising" playing in the background and, as a tribute to him, we continue that tradition on this Web site. Sherman, a very altruistic individual set about to find and meet with his old comrades. With the help of many others, he expanded his Web site, helped to extend the search for former members of the unit and served as a guidepost for the rest of us. More about this pioneer, and others, later. We recognize those of 15th Med Bn, Home of Medevac. We remember those brave souls who lived and died at the whim of fate. We continue the search for our brothers-in-battle, those misplaced, lost, or simply looking for a Landing Zone. Our members have continued to be productive human beings, but more than that, the best of friends. It was through these friendships we were able to locate enough people to establish our Association at Suffolk, VA in 1998. These individuals worked very hard to ensure our Association would be formed, that personnel would be found and invited to participate in our annual reunions and that our cherished, and collective, memories would be preserved. 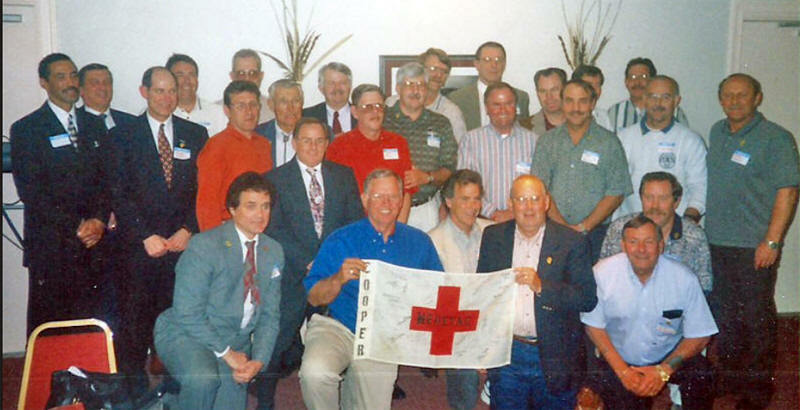 At the first reunion, the organization was named the “Medevac Association.” At the next reunion in Las Vegas in 1999, the name was changed to the “15th Medical Battalion Association,” and membership was made open to all veterans of the 15th Medical Battalion. Snore was the first president of the Association and served as president at the 1998 and 1999 reunions. He missed the 2000 reunion due to illness. Sadly, Snore passed away after a prolonged illness on January 28, 2001 at the age of 51. I am speculating that those 26 veterans who gathered in Franklin, VA in 1998 could not have possibly envisioned how their organization would grow and prosper for 20 years and beyond! Hats off to them! Over 80% of them are still “among us”, and many will be attending upcoming reunions. Copyright © 1997- ALL RIGHT RESERVED. DESIGNED BY HUEY Productions.